Mumbai is well known as Education Hub of India as the literacy rate is high. You can find many colleges in Mumbai which are classified in different categories. Mumbai is blessed with private, public and also professional colleges with regular and distance mode of learning. Science College, Fine Arts College, Engineering Colleges, Law College, Unani Colleges, physical Education Colleges, and so on. Most of the colleges in Mumbai are located in district of Maharashtra like Pune, Nagpur, Nashik, mumbai etc In Addition districts like Kolhapur, Aurangabad, Ahmednagar etc also have major number of colleges. The main aim behind the successful students is the teachers which impart knowledge among the aspirants which in turn lead to success of state and ultimately success of the country. Most Colleges in Mumbai have placement cells, which help the aspirants in getting good jobs in a reputed company through campus placement. Some of the famous colleges in Mumabai are Nagindas Khandwala College of Commerce and Arts, Bhavan’s College, St.Xavier’s college, L.S. Raheja College of Arts and Commerce, Jai Hind College, Ramnarain Ruia College, Elphinstone College, Wilson College, Mithibai College, Mulund College of Commerce. HR College of Commerce & Economics, Maharishi Dayanand College, Sydenham College Of Commerce & Economics, Tolani College of Commerce, Lala Lajpat Rai College of Commerce and Economics, R.D National College & W.A. Science College, D.G Ruparel College of Arts, Science and Commerce, K.J Somaiya College of Arts & Science, Sophia College for women, Indian Institute Of Technology and so on. 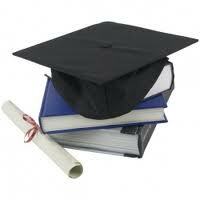 "Following is the list of Colleges in Mumbai. All Colleges in Mumbai are divided into Location wise. We have even listed college in Mumbai as per alphabetical order which is easy to find the desired college and information on it. If you come across any college in Mumbai which is not found from our list below, please do let us know by using add in list which is default in our website”.